Not figuratively thousands of students. LITERALLY thousands of students. 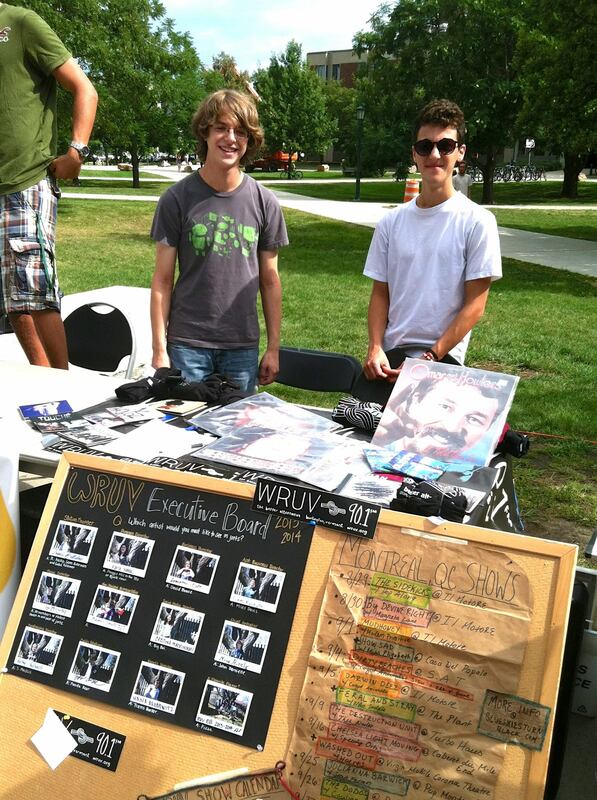 UVM’s student media groups worked the crowd and gathered a Ton O’ Names of new recruits yesterday at UVM’s Activities Fest, the fall semester’s biggest event for student organizations. 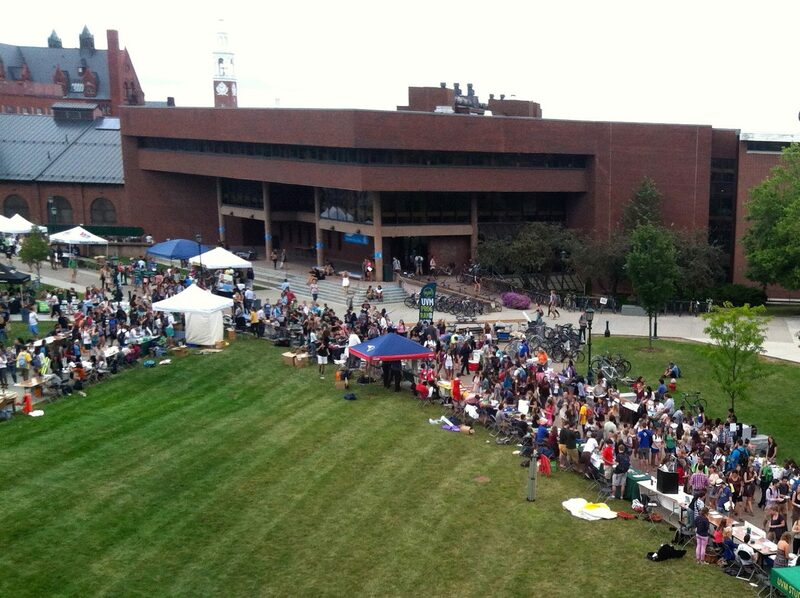 Thousands of people gathered on the green between the Davis Center and Bailey-Howe Library to find out everything they could about getting involved at UVM. Here’s a little of what they learned . . . Doing it write with The Vermont Cynic. 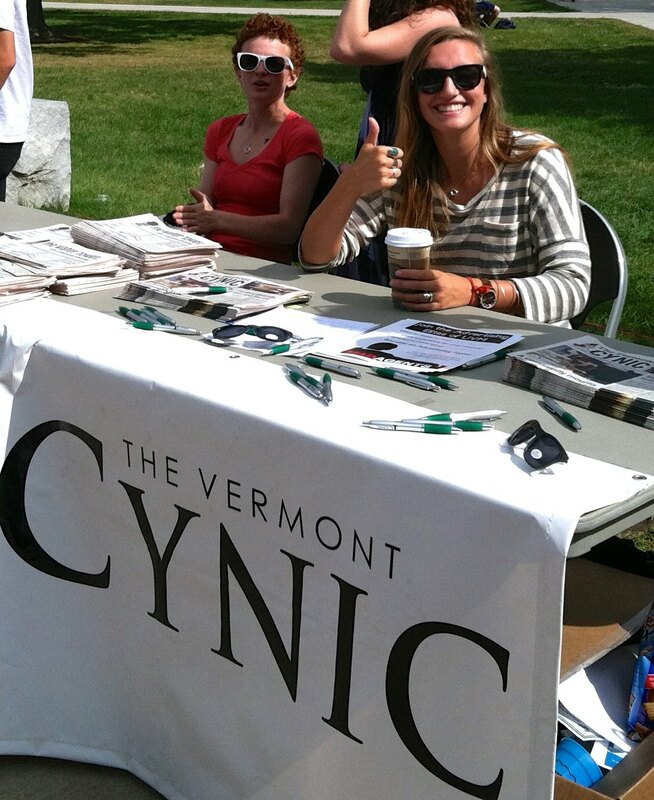 The Vermont Cynic provides the UVM community with weekly news, editorials, sports, fashion, technology and student life stories. Located on the first floor of the Davis Student Center, the Cynic has a long and rich tradition of journalism that extends to 1883, making this the paper’s 130th anniverary. For more, check out the Cynic’s information page. Absolutely anyone can train to become a DJ at WRUV, Vermont’s most eclectic and original radio station. WRUV-FM features the largest collection of CD’s and vinyl in Vermont and an eclectic mix of anything and everything you might want to hear. Staffed by students and local DJs, the station offers everyone the chance to spin discs of some of the best music, months before most people have heard of it. For more, check out the WRUV information page. 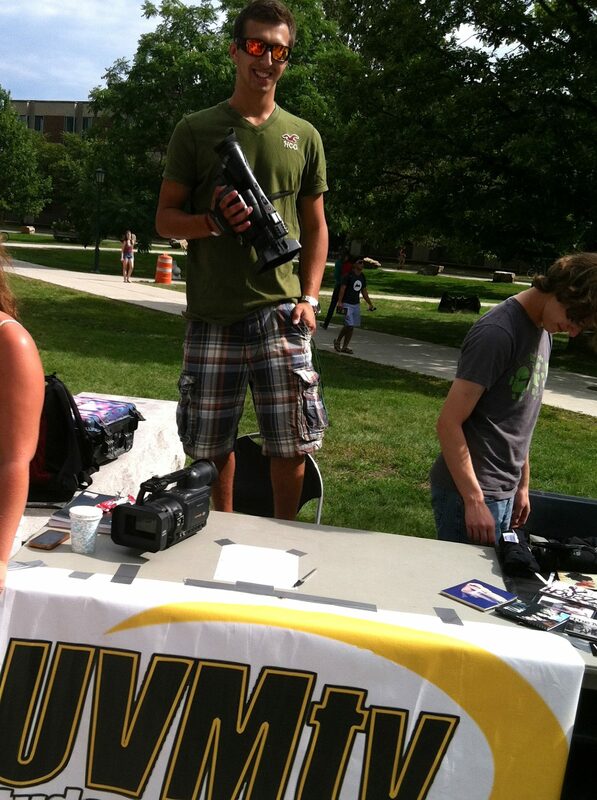 UVMtv stands out as the university’s source of student-generated, student-selected video content for everyone on campus. Actors, anchors, producers and other members of the UVMtv team come together to produce the best, most eclectic mix of entertainment. Check out UVMtv information page for more.